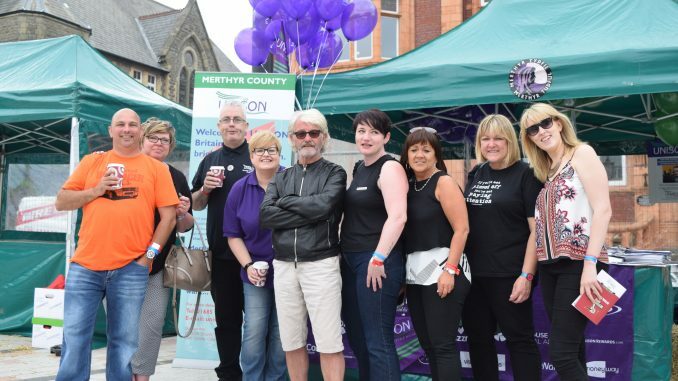 UNISON Local Government branches in Merthyr Tydfil and Rhondda Cynon Taf have taken the historic decision to merge and will become “Cwm Taf Local Government Area Branch” the largest Public Sector Trade Union in the Cwm Taf area. We have come together to share resources and bring experienced activists together. Peter Crews – Branch Secretary of the new Cwm Taf Local Government Area Branch, said “This is a golden opportunity, We have been working together across both Council areas for some time, as the local Authorities collaborate on more and more services to their communities and this will continue, so it is common sense to bring both branches into one. We will cover not just our members directly employed by each Local Authority but members who are employed in the private sector who deliver services on behalf of the Local Authorities”. “Our new branch will have over 5000 members and growing. This will be positive for members, UNISON in Wales and securing a strong voice for defending the future of Public Services in Wales”. The new branch reflects the closer working relationship between the two local authorities and the increased number of cross border ‘shared services’ being provided. Mike Crimmins, Branch Secretary of Merthyr Tydfil branch stated: “Merthyr Tydfil branch is excited about our merge with RCT on October 1st , it will make our new Branch the biggest Local Authority Unison Branch in Wales. This merger will and can only benefit all of our members”. For the time being both branch structures will remain as they are, with the addition of a new Branch Secretary (Peter Crews of RCT) and a Branch Chair (Joanne Murphy of Merthyr Tydfil) overseeing the new branch. This weekend activists from both branches will be getting together to discuss how the new branch will operate, what its new structure will be and what its priorities will be.